Sara "Sally" Spicer Cranor was born on September 22, 1943, in LaGrange, Illinois, to Ann Bestler Spicer and William H. Spicer. 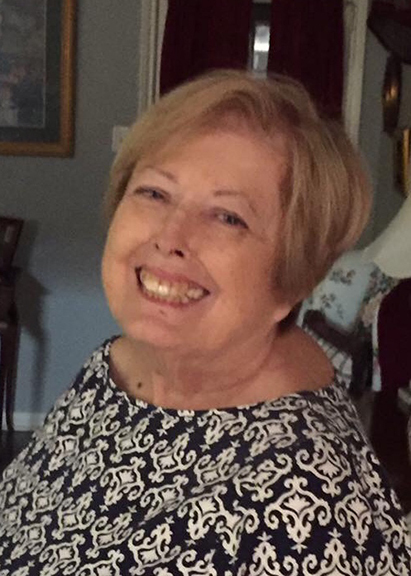 She passed peacefully in the afternoon of March 29, 2019, at the age of 75. In her youth, Sally was a nationally ranked, championship horsewoman of five-gaited Saddlebred horses riding for her family stable, Fairway Acres. Sally met her husband, Gary, while attending the University of Kentucky, where she was a member of Delta Gamma Sorority and earned a Bachelor of Arts in Education. After moving to Beaumont, Texas, in 1977, they were founding members of St. Jude Thaddeus Catholic Church. They enjoyed traveling, spending time with their grandchildren, and most of all, cheering for the Kentucky Wildcats. She was a teacher in Kentucky, California and Texas, and volunteered for many years at the Beaumont Downtown Library. Sally was known for always having a smile on her face, laughing with ease, and her amazing cooking. Sally is preceded in death by her husband, Gary Cranor; her parents; and her sisters Molly Horstman and Jennifer Manz. She is survived by her children, Ann (Donald) Bernard, Bill (Valarie) Cranor, David (Allyson) Cranor, and Susan Cranor Breitling; her grandchildren, Joey and Meghan Bernard, Carey Cranor, Jackson, Graham, and Isaac Cranor, Parker, Ryan, and Molly Breitling; her sister, Cece (Jim) Currie; brothers, Bill (Patsy) Spicer, Tommy Spicer, and John Spicer; seventeen nieces and nephews, and ten great-nieces and nephews. A Christian Vigil will begin at 5:00 p.m., with a gathering of her family and friends to follow until 8:00 p.m., Thursday, April 4, 2019, at Broussard's, 1605 North Major Drive, Beaumont. Her memorial mass will be at 10:00 a.m., Friday, April 5, 2019, at St. Jude Thaddeus Catholic Church, 6825 Gladys Avenue, Beaumont. In lieu of flowers, memorial contributions may be made to the Shorkey Center, 855 South 8th Street, Beaumont, Texas 77701; or St. Jude Thaddeus Catholic Church, 6825 Gladys Avenue, Beaumont, Texas 77706. I was blessed to know Sally & her family. Such a sweet lady. Sally and I were in the Delta Gamma Alumnae Group here in Beaumont for many years. We had many Christmas parties including our husbands. She will be sorely missed by all those who knew her. My prayers are with her children, grandchildren, and all her family. We are so sorry for your loss, Cranors. What a lovely lady! Vietnam Veterans have lost a powerful supporter. Our sincere condolences to the family of Sally and Gary. They were parents of whom you can always be proud! Vietnam Veterans of America Chapter 292.